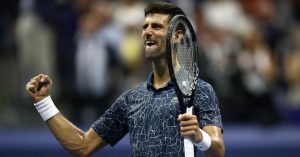 Novak Djokovic retained the top position in the Men’s Singles tennis rankings, followed by Rafael Nadal and Roger Federer placed at 2nd and 3rd respectively. Some of the significant upgrades were of Daniel Gimeno-Traver, Pedja Krstin and Hiroki Moriya who are now placed at 177th, 178th and 179th respectively. For Men’s Doubles Tennis Rankings, move on to the next page! For Complete Tennis Rankings, go to the last page!